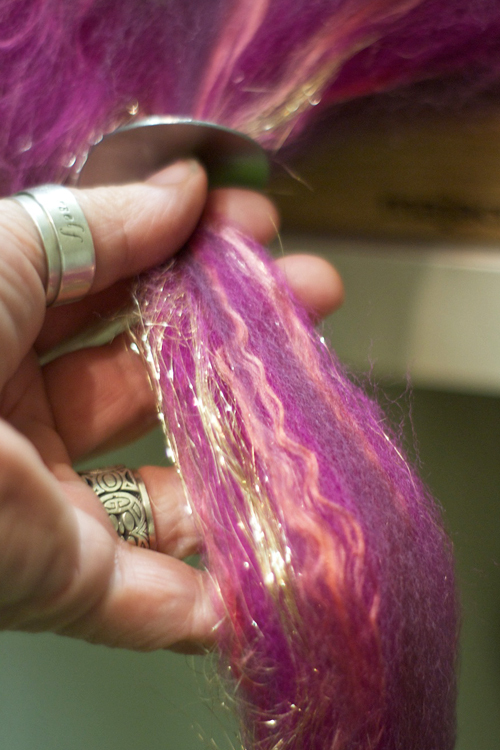 To assist in your combing and blending, Majacraft has crafted new single and double pitch hackles. 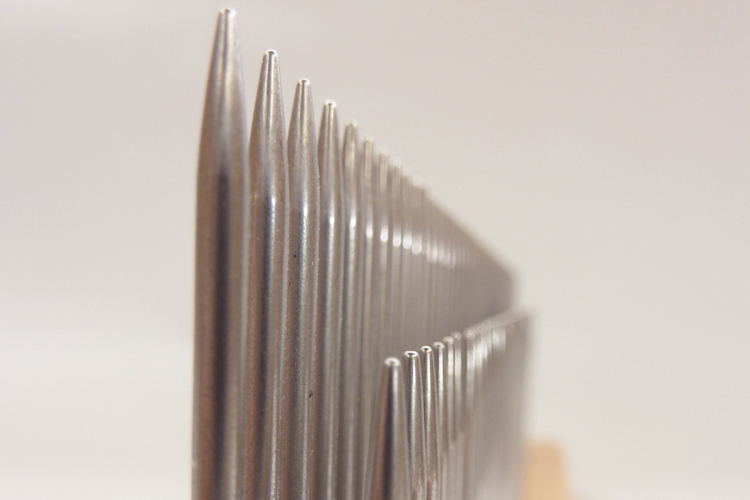 The combs have stainless steel pins with polished points that are blunt enough to be much more pleasant to use and sharp enough to do the job well. Instead of drilling the hackle base, Majacraft has developed a new technique of bonding the pins in with a very tough resin. The pins are positioned perfectly straight and perfectly even on every hackle. These are available in either single or double row options. We include a wooden pin cover to protect you and the hackle when it is not in use. Also included are special Majacraft clamps. The clamp block is drilled at an angle and has a solid rubber top to ensure that the hackle is held firmly on your table and the rubber will prevent damage to the table. 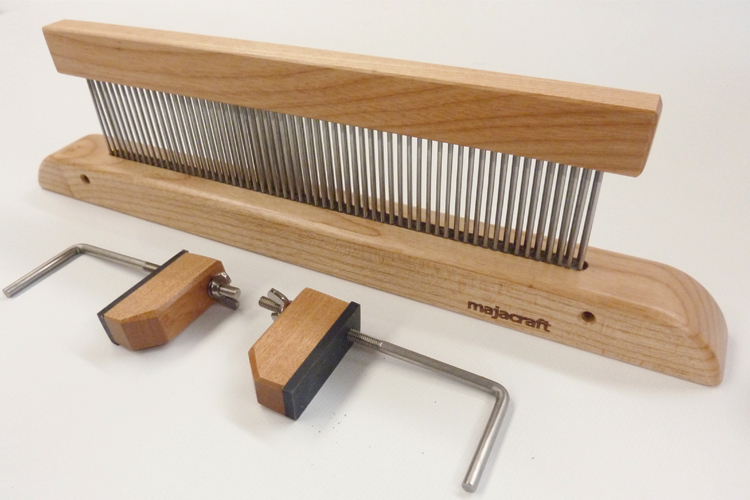 The clamps allow you to secure the hackle to a sturdy surface and carry out colour blending in conjunction with a diz. The Majacraft logo has been laser engraved on the hackle base. The single row hackle is more useful if you usually spin a coarser wool. It will help align the fibres for producing a worsted yarn and will remove most of the short fibres. The double row hackle is great for finer fibres. The pins are at different heights so initial combing can be done on the higher pins before carrying out fine combing with both rows of pins. As is often the case, the time spent in preparation is taken from the time spent in spinning later.